Add a little Power to your Thursday! Yesterday we had a great workout for building stability throughout the body. Exercises like the weighted lunge and Med Ball Push Up (not to mention the Russian Twists) help all our muscles work together at their fullest range of motion. Think about it. If we can’t re-engage the muscles in our legs when we relax, getting out of the bottom of a lunge wouldn’t happen. 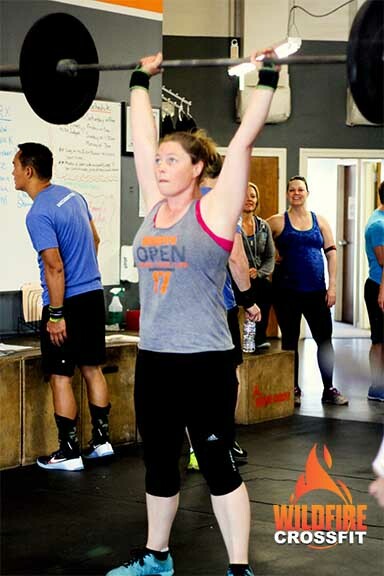 Today, we get to apply that stability in the Power Clean and Jerk, and there is a very specific method to the madness with the format of this lift. We are going to give you all the time you need to go heavy. While you may dump the weight after the first rep, you must pick it up off the floor as soon as it stops moving. No more than 3 seconds. The whole point is to somewhat string these together. Now, ideally, if you can SAFELY maintain control on the way down, we would rather have you keep a grip on the bar. Drop under the bar even though you aren’t squatting all the way. Keep your chin up. You are going to hit some and miss some. If you don’t miss any, you aren’t challenging yourself. We bumped up the weight slightly for the Rx+, however, we want the same speed on your 3 we got from the 2. You may dump is that helps you keep it safe, just get on it as soon as it stops moving. Go hard on those sprints and HAVE FUN! !